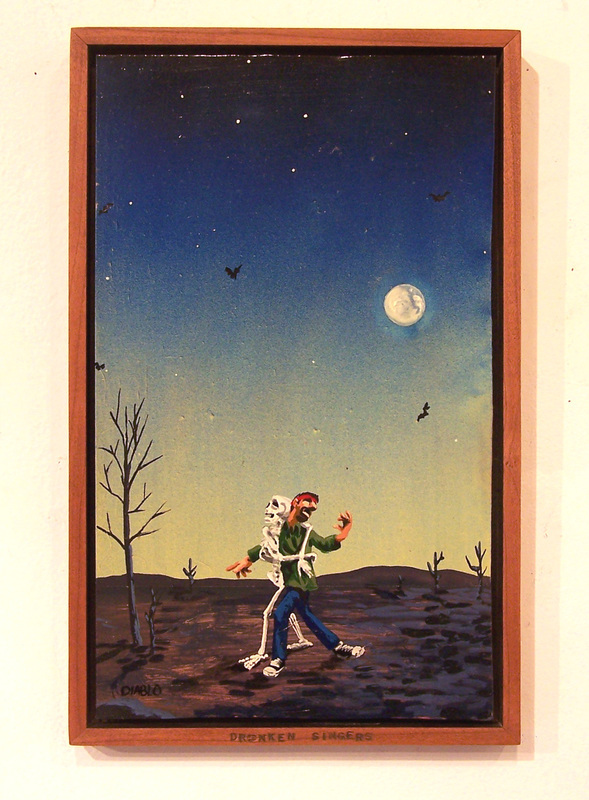 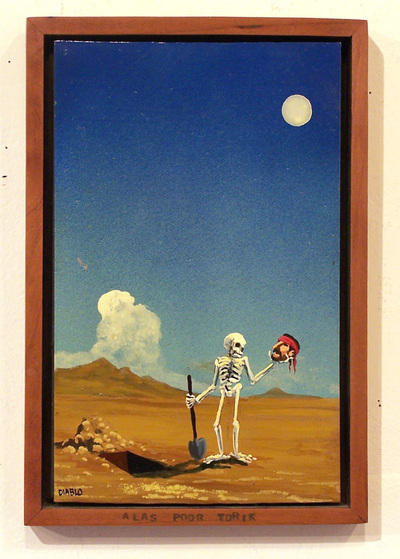 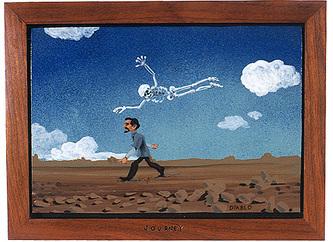 In 1993 I started a series of enamel on metal paintings that were inspired by Mexican retablo painting. 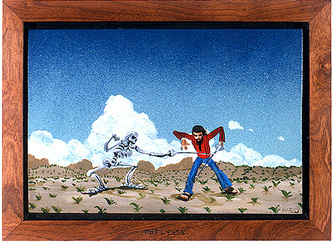 Jesus Diablo was a character that I created while in graduate school who was a street artist of Chicano descent. In this series, Jesus is on a walkabout in the desert while his only company on the journey is Death. 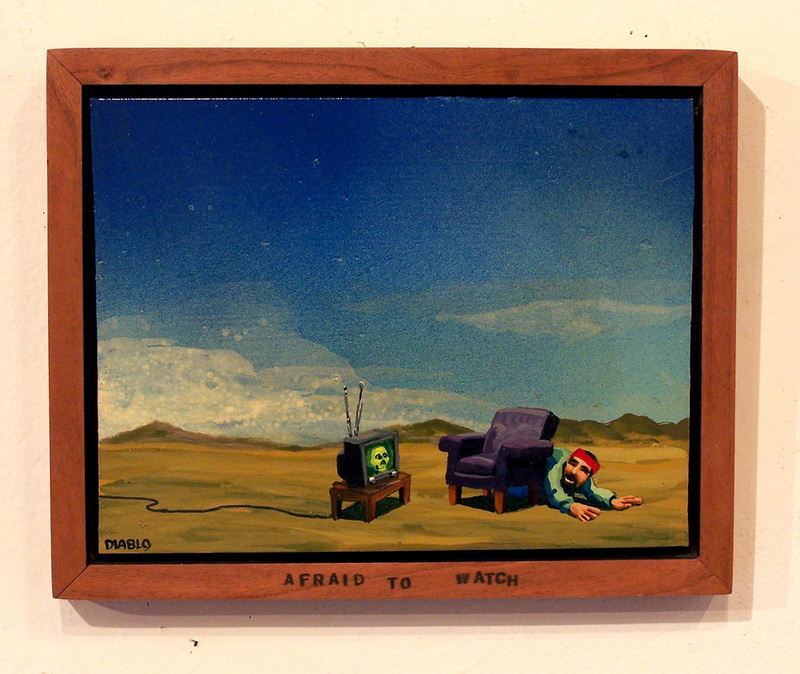 Each painting has a sky of spray paint with the landscape painted in model enamels. Each painting comes with a handmade cherry frame with the title stamped in black.